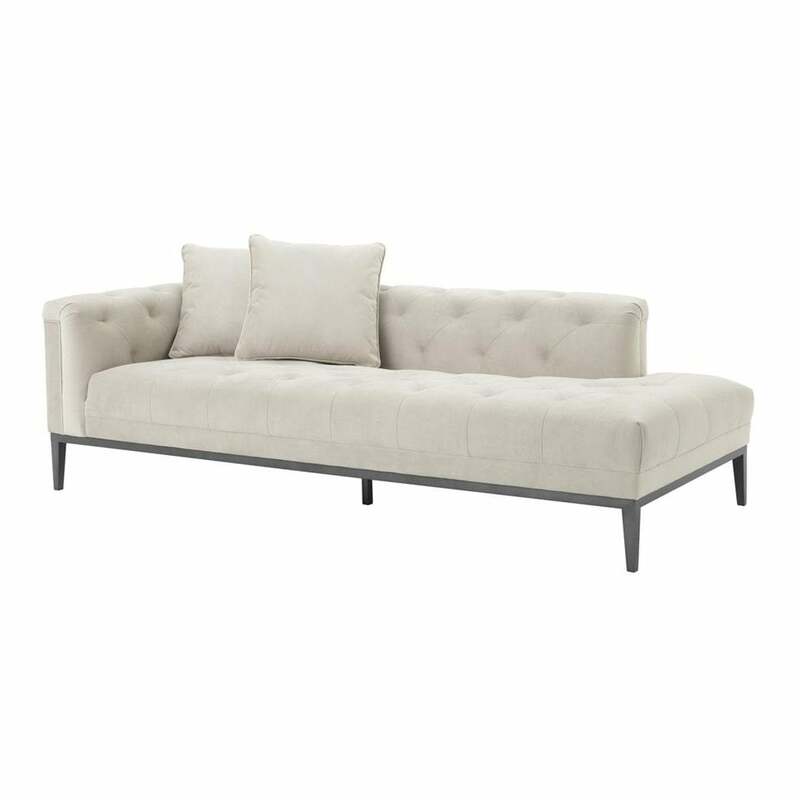 Perfect for the bedroom suite or as casual seating in a lounge, foyer or bar, the Cesare Lounge Sofa by Eichholtz is a modern take on a classic style of furniture. Beautiful craftsmanship combines with the highest quality materials to create a stunning and timeless piece. The reassuringly familiar design with deep, sumptuous cushioning and impeccable buttoned upholstery deliver both a sophisticated and practical, elegant sofa to grace a wide range of interior schemes. Go all-out glamorous by styling the Cesare Lounge Sofa with Deco inspired touches such as mirrored furniture, tropical orchids and sumptuous soft furnishings or keep it simple with luxe metallic touches and natural materials such as marble or hardwood flooring. Choose from luxurious natural tones in Pebble or Granite Grey velvet to complement your interior scheme and add a Cesare Stool or Cesare Chair to complete the look. Dutch interior design house, Eichholtz pride themselves on their eclectic collection of beautiful furniture, lighting and accessories carefully selected from around the globe. Here at Uber, we have an extensive directory of Eichholtz luxury homewares to choose from. Why not contact our expert interior design team for further details and inspiration to help you find the perfect curated collection for your next home, yacht, bar or hotel design project?